We've just got something new to watch out from the famed Flappy Bird developer Dong Nguyen this August. Famed developer of Flappy Bird, Dong Nguyen once again surfaced on technology news headlines, this time revealing his new game to come out soon. Yesterday (Thursday) Nguyen announced the anticipated comeback of his famed game Flappy Bird this August. And oddly this day, the game developer has made yet another disclosure through Twitter, regarding a new game he created to help people forget about his Flappy Bird game for a while. 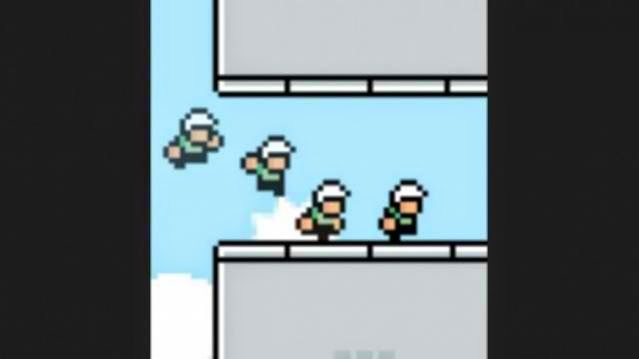 Nguyen's newest tweet about his newly developed game also has certain screenshot, showing little human-shaped characters with helmets, seemingly jumping through an opening that looks like a building. Nguyen had purposely taken down Flappy Bird from both Apple and Google Play Store after realizing that people were becoming too addicted to it. Many have wondered why he'd make such decision of abandoning a project that was already fetching him $50,000 worth of ads revenue per day before it reached the peak of fame. Others even left him with some death threats. On the other hand, some business-minded phone owners with Flappy Bird installed in their devices have exploited on the game's sudden loss and sold their devices for approximately $100,000 apiece. But just as when people have finally get over the abrupt vanishing of Flappy Bird, Nguyen once again surfaced with such seemingly contradicting announcements via Twitter. While many fans are now keen on hearing more updates from the Flappy Bird creator himself, a wide variety of game apps are also being offered to fill its void momentarily.